Ford Engineering work closely with its customers to offer a robust development phase for new products. Offering Project Management in the form of New product Introduction (NPI), we have the capability to manage tool design, manufacture and testing, as well as the introduction of existing tooling which enables us to manufacture products to every level of the Product Part Approval Process (PPAP) requirements. This procedure outlines how parts which are new to the business will be identified and controlled within Ford aerospace, in order to ensure production parts are right first time. Upon receiving a drawing or specification, a member of the team will check to see if the part is new to Ford, or if we have produced a similar part in the past. 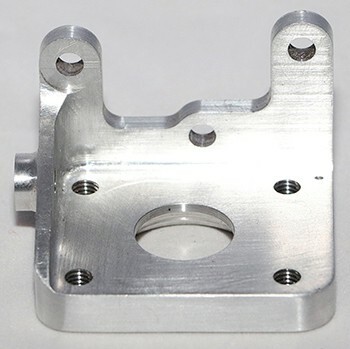 If the part is not one we are familiar with we will check to see if it contains any difficult features to machine, such as close tolerances, complex machine set-up, unusual material or untested protective treatments. If any of these are highlighted, the estimating team, in conjunction with one of our engineers, can raise a new part routing in order to help aid manufacture. Prior to the new works order and routing being produced, an engineer will review the process in order to check the method for efficiency, as well as checking the set up and cycle times are correct to prevent delays. The team will identify if any additional operations are required after machining, such as protective treatments, which would increase the cost of producing the part. 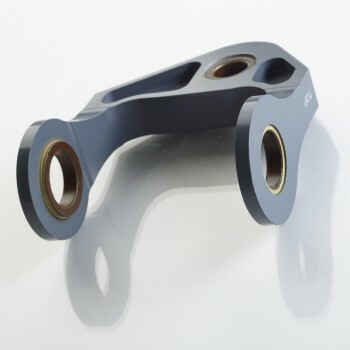 If the material is difficult to source due to specialised dimensions, or is very expensive, then it may be possible to use a standard alternative. In this scenario the parts cannot be used at a later date and this must be made clear on the Works Order. 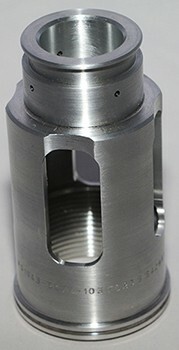 Hold points are identified, such as quality control, in-process inspection and reviewing of the final parts. Within the router, a step allowing a review by the quality engineer, estimating and production should be added to allow the process to be reviewed and changes to be made upon completion of the parts. This will allow a more efficient manufacturing process to occur when producing future orders, preventing delays and improving lead times. 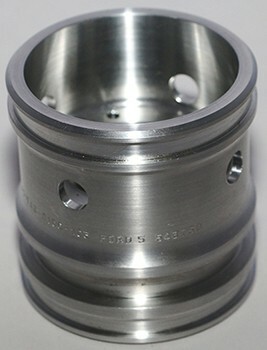 This is an example of a Trunnion Assembly as manufactured by Ford Aerospace. The product was machined, treated, painted and assembled to the customer specification through a combination of in house process and specific supply chain management.